How do I love thee, Solitiba (aka Soliti Horse)? Let me count the ways. 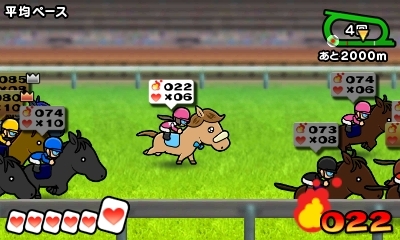 Actually, let me count the hours--as in, the hours I've spent playing this Japan-only, Game Freak-made 3DS eShop title that, as I'm sure you've heard me say before, adds a bit of zip to the traditionally staid horse-racing genre by infusing it with some lightning-fast rounds of solitaire. The tally so far, by the way, would be just under 25 hours. That's how long I've played Solitiba, I mean. Which, admittedly, is a bit ... extreme. What can I say? I'm enjoying the hell out of it. 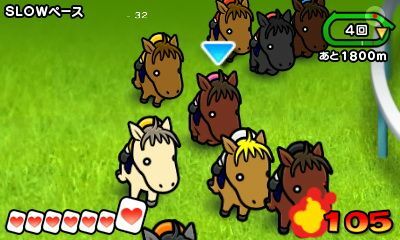 Which is why, as I state in the header above, it's a damn shame this game has yet to be released outside of Japan. It's addictive--I guess that could be gleaned from my earlier revelation that I've spent 25 or so hours with this sucker so far, but that's not all there is to Solitiba's addictive nature. For instance, there's the fact that this is one of those titles that, even when all you plan to do is pick it up and play it for five or 10 minutes, you end up playing it for far longer than that. In my case, that usually means playing it for 30 to 40 minutes, it not longer, which is kind of crazy when you consider we're basically talking about a gussied-up game of solitaire. 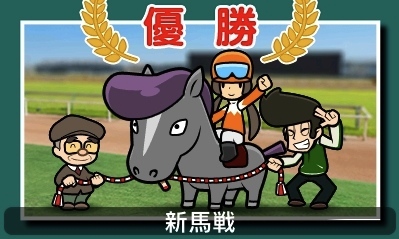 It's deep--Despite the fact that I've described Solitiba as being one part horse-racing sim and one part solitaire on at least three or four occasions now, there's far more to this digital title than that. 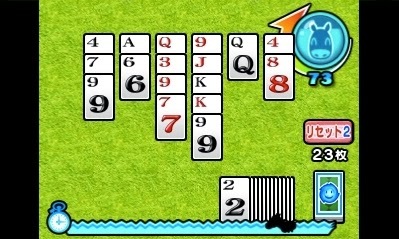 Winning or losing has to do with more than just completing a hand of solitaire. 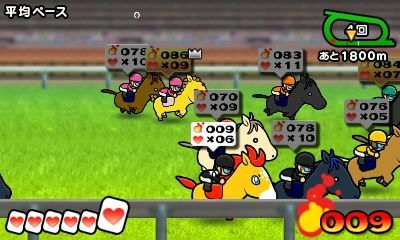 How a player positions his or her steed throughout a race can lead to success or failure, for example, as can either picking up or passing up on the many "item" cards that are scattered about each track. It's got a surprisingly awesome soundtrack--In fact, I've yet to hear a tune that I would describe as anything other than great. The standouts on Solitiba's soundtrack, though, go well beyond great, with two notable cases in point being the ditty that opens this video and the one that can be heard starting at the 8:04 mark of the same medley. It's really easy to screw things up due to the slew of unintelligible menus--And by that, I mean that if you don't know some amount of Japanese, it can be far too easy to, say, delete your save file--which is a headache that's made even more painful once you realize that you're going to have to go through the game's far-too-wordy-for-its-own-good tutorial once again.